Building your St. Charles business can be full of fun activities and making new connections with clients or customers as well as with your professional network. Our marketing company can help you come up with ideas that are customized to your local company, and we will teach you how to implement the ideas across your digital marketing platforms. Host an event. 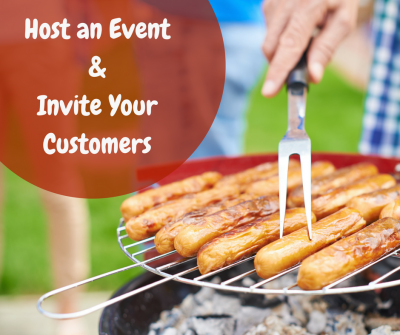 Even if you don’t offer in-house services, you can host an event and invite your customer base to enjoy perks and prizes or giveaways. Encourage customers to invite guests, to help grow your customer base. Offer a no strings attached evening or afternoon event. If you offer in-home services, like roofing or carpet cleaning, make it a family-friendly event, get sponsors to bring in bouncy castles or fun kids activities. Plan a barbeque and treat your guests as family. Volunteer in your community. Find opportunities to volunteer in your community that will connect to your business. Sponsoring charitable events helps to put your company name in the community. When your local company includes the opportunities you’ve taken for community volunteering into your digital marketing solutions, it is another way to let people know about your community involvement. While both of these are great opportunities, volunteering and being personally involved in the community offers a chance for you to make connections with potential customers in a much more personal way. Vision Force Marketing is here to help you strategize marketing plans for your St. Charles company on an individual basis. Our marketing consulting staff can look for the best creative marketing ideas to push your local company above the rest. Contact us today and Own Your Space!